The Morning Birds ‘Bloom’ isn’t an album you sing along to, or even one you put on when you’re getting ready to go out for the night. It is, however, sonically compelling. 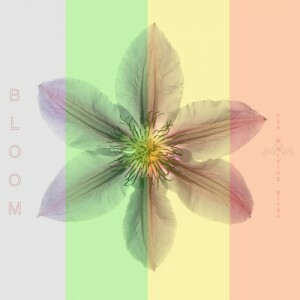 ‘Bloom’ is a concept album, brought to life not just by the Californian trio, but by noted DJs from around the world. I’ve always liked themes in just about everything (food, parties, karaoke…) and ‘Bloom’s’ theme is apparent in both the track titles and the way the music moves. The opener and title track, ‘Bloom’ is a velvety number that is comprised of the best parts of jazz and that relaxing type of pop used to set the mood in bars selling craft beers and gourmet bar snacks. The vocals of Jennifer Thorington and Samuel Markus are understated, gliding along beside the hypnotic melody rather than taking center stage. The lush, delicately unfolding track is the perfect thing for nights where you want to turn down, rather than up. Upon noting that the only original song on this six-track EP is the aforementioned ‘Bloom’, one may feel a little disheartened. No one wants to listen to the same thing six times, right? This is where the concept becomes evident. Harnessing the talent of their selected DJs, The Morning Birds have created aural seasons. Summer x 2, Fall, Winter and Spring are all represented on this collection of remixes of ‘Bloom’ and they’re all interesting and varied enough to keep the EP moving forward. Dimond Saints gives us the first taste of summer with ‘Indian Summer Bloom’, a future bass number that invokes chilled-out beach trips and the sticky sweetness of summer. Things take a turn on ‘Winter Bloom’, from Invisibles. A sense of breathlessness guides the track, the kind you may experience when winter arrives and cloaks your surroundings in a kind of mesmerizing beauty. We move in to spring, care of Knife & Fork. Jazz defines ‘Spring Bloom’, with the easy, upbeat melody shaking off winter and trading it for fresh sights and warm afternoons. Suddenly, we’re back to summer, but a vastly different one to the one we’ve already experienced. OptiX takes the wheel on ‘Summer Bloom’ and the sound of a plane taking off (to represent summer’s possibilities for travel, perhaps) gives way to the type of summer you spend in a club, letting blissful sounds take you away to a place where the real world doesn’t matter. ‘Fall Bloom’, courtesy of Prizm Prime is all about ambiance, with percussion driven jazz that makes the music feel like it’s falling to the ground along with the autumn leaves. Once this EP finishes, you’ll almost feel like you’ve come out of some semi-trance like state. The lyrics are imprinted on your mind and the dreamy, airiness that unites the project can be difficult to shake. But there’s enough in each remix that we do feel like we’ve gotten six different songs, with each DJ adding new elements to an already layered track. Bloom is an impressive, ambitious project from a trio of musicians with an intricate understanding of their craft. Bloom is out August 12th via Funky Island House Records. This entry was posted in Music and tagged Bloom, Dimand Saints, EP, ep review, Invisibles, jazz, Knife & Fork, lip, lipmag, lounge, music, OptiX, pop, Prizm Prime, Review, The Morning Birds. Bookmark the permalink.